Series 5000 120/12v Inspection Light | Novatech Lighting Systems, Inc. 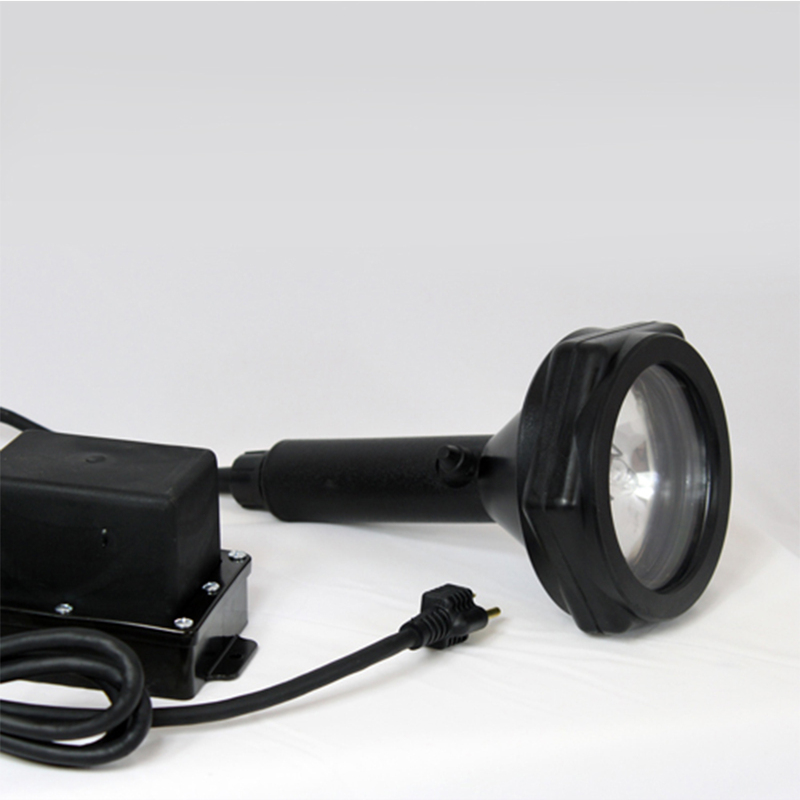 The Series 5000 120/12v Inspection Light is ideal for vehicle, shop, warehouse, or production areas, especially in wet and/or other hazardous locations. Heavy duty construction, water-resistant and with no exposed metal parts. 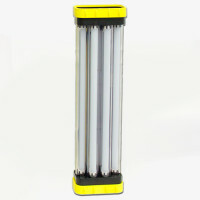 50 Watt, 100,000 Candlepower Halogen bulb. 120 to 12 Volt in-line step down transformer. 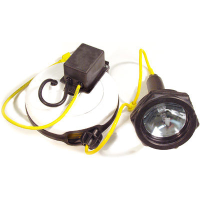 The Series 5000 120/12v Inspection Light is a heavy duty, water-resistant spotlight/inspection light for use with 120 volt outlets. 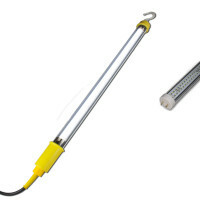 It has a totally encapsulated transformer in-line that lowers the “in hand” current from 120 to 12 volts, making it ideal for use in OSHA required areas. 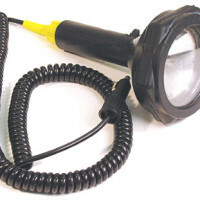 This light itself has no exposed metal parts and has a 50 foot extension cord. Transformers take the shock out of High Voltage. Reduction of voltage has a direct correlation to the reduction of current that would be passed through the body, making low-voltage equipment a necessity for hazardous locations. Having an in-line transformer allows you to continue using a standard 120v outlet power-source, and still rely on the safety of 12-volt equipment. Wet Location Hazards: The presence of moisture in a confined space presents the hazard of electrocution to a worker. Under OSHA 1926.405a(2)(ii)(G), the use of low voltage lighting or the use of GFCI protection to protect the worker is a requirement.